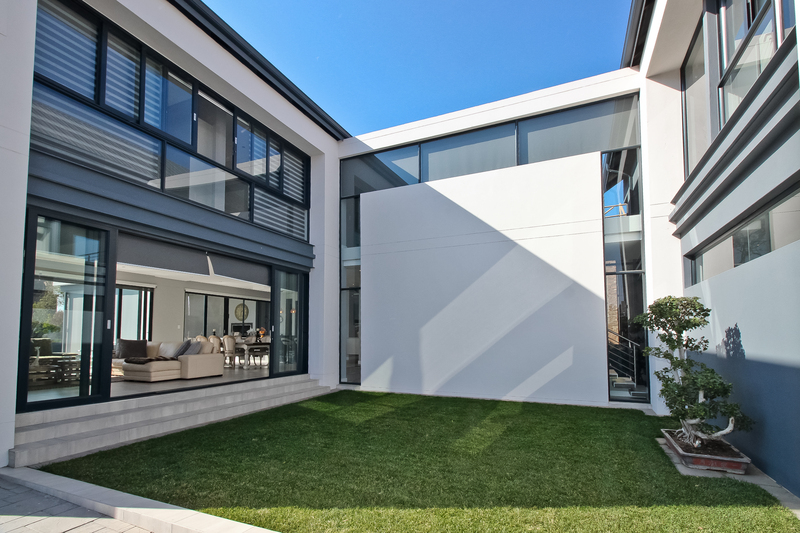 Steyn City is a private golf estate near Sandton, South Africa that offers gracious living at its best. The estate has facilities such as heliport and hangar, and on-site convenience of a fueling station equipped with car wash, The area has tennis courts, a convenience store and a coffee shop. The home has views across the valley and is designed as a series of interlinked spaces. 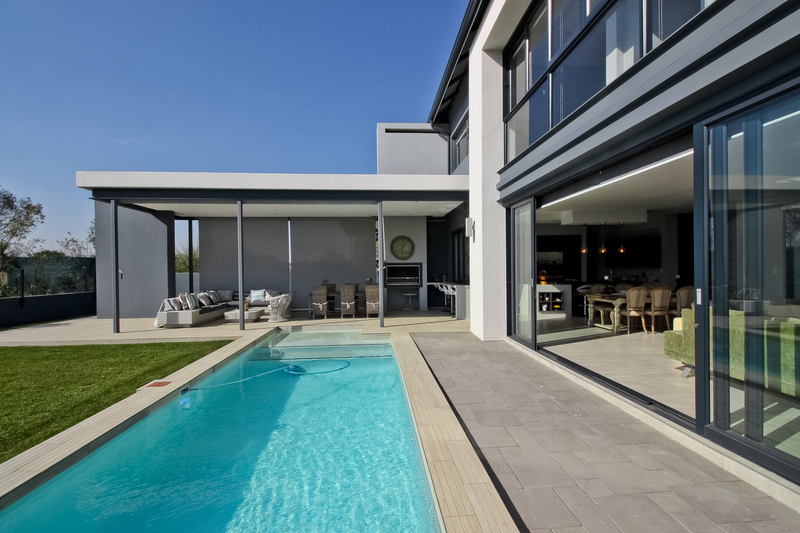 The home has large living spaces including a living room that opens to the pool area. 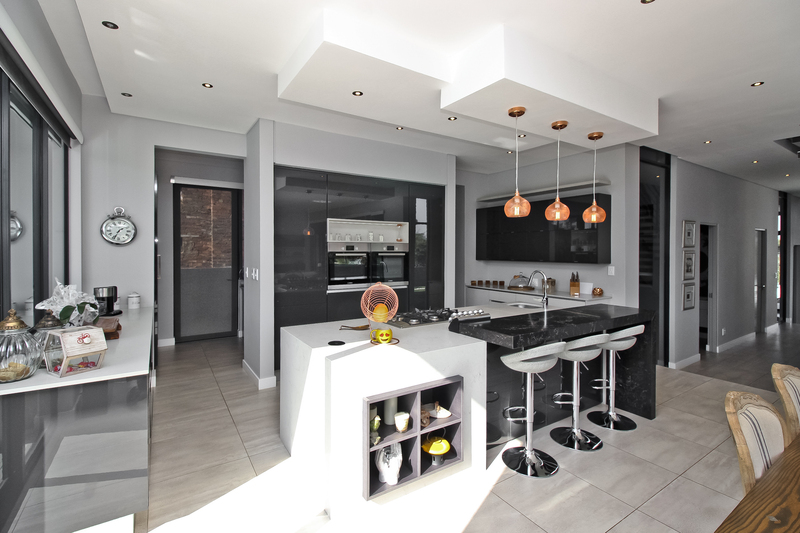 A modern kitchen is open to the dining room and includes a dining bar. 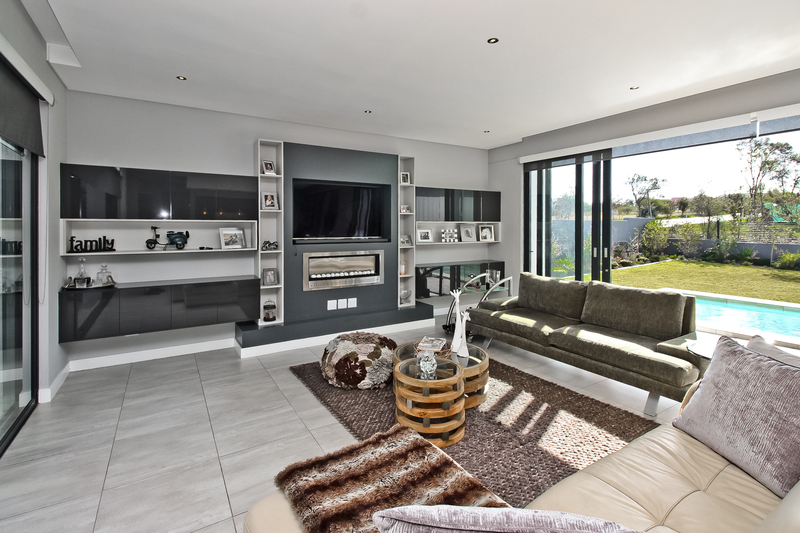 This home is listed for $740,756 with Jawitz Properties and is showcased by Luxury Portfolio.